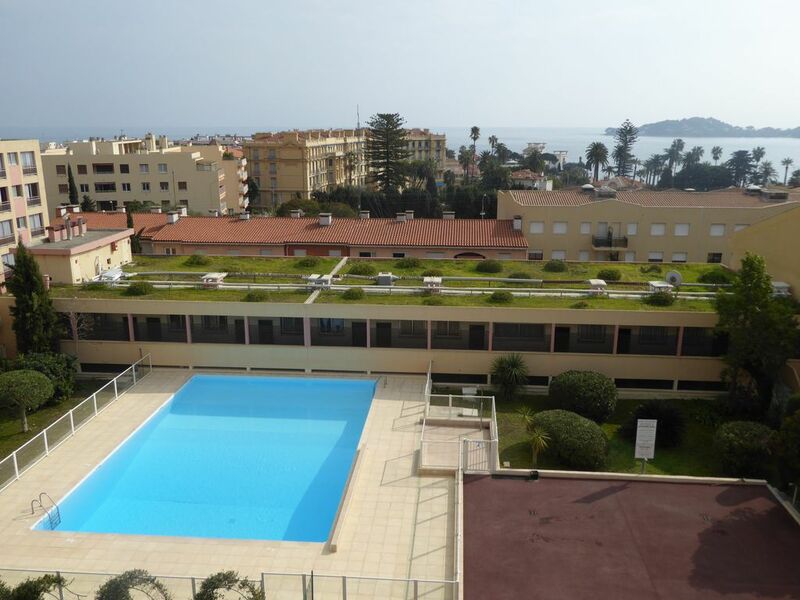 (Text automatically translated) Very quiet (the apartment overlooking the sea without contacting Boulevard Marechal Joffre), large terrace of 15 m2 with sea view awnings, furniture, comfortable. All near the center of Beaulieu sur mer (daily market, shops, supermarket, restaurants, etc.). The mattress covers and pillows were extremely stained and dirty as was the cushions and dated furniture. The balcony was superb even though a piece of furniture was broken. As in a previous review the apartment is very dated and in need of refurbishment. The bathroom and shower is excellent. I now realise why the owner has not taken many photographs of the interior. The kitchen utensils and cutlery were very old. What a shame! This apartment could be superb with a small amount of investment. We had good interaction with the renters after they published their evaluation, very different from the many (non published) evaluations we receive. Indeed, the apartment is superb and it offers all modern comfort even if the furniture is dated. It is also in constant renovation as confirmed by the comment made on the bathroom. Improvements with regard to the mattress covers and the pillows have been already made. Thanks to George and Denise for their though comments! "Thank you for having us again. The new bathroom was very nice. As usual we enjoyed our stay in this apartment with the beautiful view... so peaceful and quiet, however in the center of Beaulieu-sur-mer." The apartment was in a great location. Directly opposite a supermarket, 5 mins walk to one beach, and 5-10 mins walk to a slightly nicer beach. Approx. 1/2 hour drive from Nice. The apartment (although the interior/furnishings were VERY dated) was clean and tidy. It was a quiet location with an EXCELLENT view of the sea. There were plenty of books (mainly in French) and games to play. The double bed in the bedroom (actually 2 singles) was new, as was the fold-down double couch bed in the lounge. The pool was strictly supervised all day, and in very good condition. Watch the extra cleaning charge not mentioned on the webpage - 25 euros. There is free parking (any time) within a short distance from the apartment. All in all, we had a great time there and would definately recommend it to others. Thanks for a lovely week away! the Boulevard Maréchal Joffre (coloured in orange). When you arrive from Nice, along the Boulevard Maréchal Joffre, before the crossroad to the left to the railway station, you have a series of buildings on your right. These are The Floralies. On the left side, you have the supermarket Super U and the Hotel Mercure.